Look I know you love your grandmothers too but I have a particularly cool grandma. She will be horrified at this semi-public declaration, as she is the first to dismiss any compliment that you try to pay her – which means I don’t often get chance to tell her how brilliant I think she is, and that at lower ebbs in my life I have been comforted both by the fact that she is there and also the knowledge that I share some genes with someone who lives life spectacularly well. Does your grandma do this? 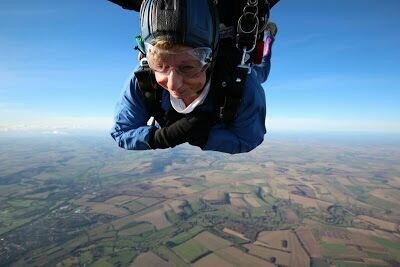 Don’t take my word for it: 5 years ago she skydived, to celebrate her 88th birthday, and to raise some money for a charity she volunteers with. And not that I would be so crass as to mention age, but the article headline means that the jig is up – unlike when she told me, and my siblings, that she was thirty. I suppose in response to a very impertinent question from a grandchild (surely not me) but it took us an embarrassingly long time to work out that this couldn’t be the case. Anyway. My grandmother is exceptionally cool and in my current expat lifestyle I harp on about missing parents and siblings and new nephews but also, I really miss knowing that my grandma is a few hours away and on the same time zone. 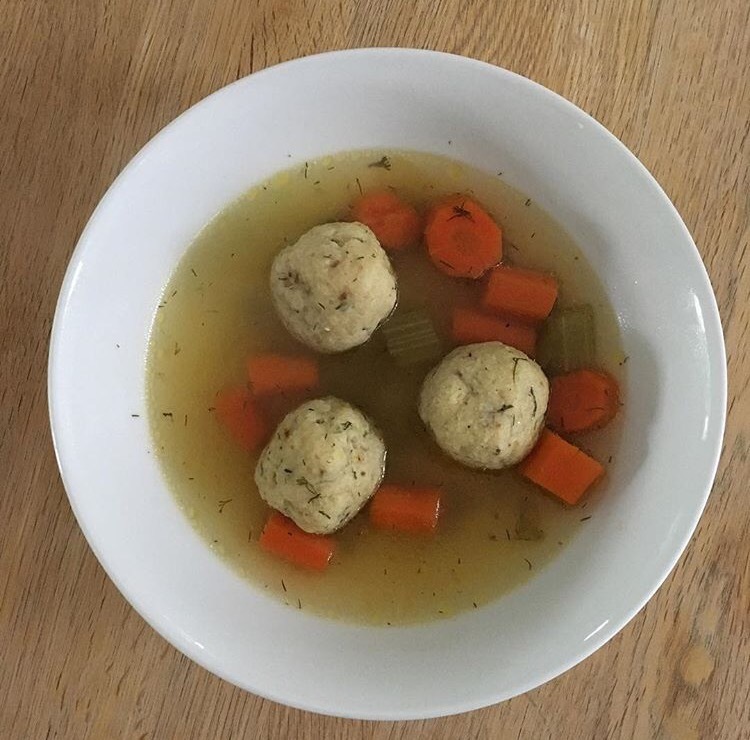 Which inspired me to make some kneidlach last week – matzo ball soup – something my grandma does very well and I have never attempted. I used a vegetarian recipe and it turned out nicely but…let’s just say…. if you aren’t vegetarian and you are making matzo ball soup then I would probably err on the side of the meat version. Still a treat though and after a week of exceptionally low standards in the kitchen (read: heavy reliance on frozen pizzas) – after that, this was a welcome relief. Anyway to go with it I also baked my failsafe challah bread rolls – probably a totally inauthentic recipe and I wouldn’t know who to credit because it has been written out in my recipe book for 15 years as ‘mum’s challah’. This is turning out to be quite the family affair. Authenticity aside though, this is a very easy and forgiving recipe for delicious challah bread rolls that smell incredible and are the perfect addition to a soup or just about any meal. 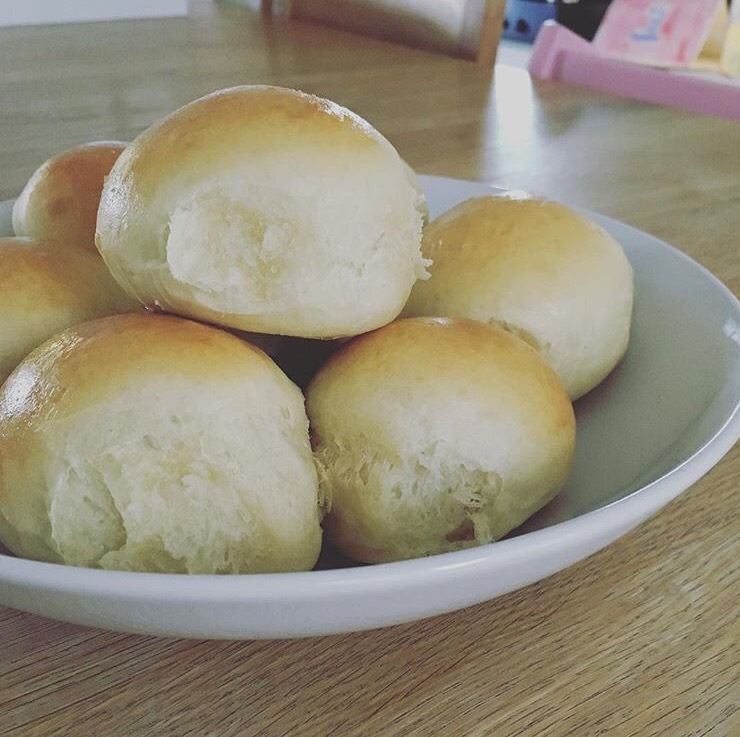 It’s also pretty much impossible to ruin these rolls, apart from that I used to cook it for about half the time required and leave the middle doughy enough that Paul Hollywood would be horrified. So don’t do that. The original version that I have lists a fairly large amount of salt. If I’m making this for the children I put half – or even a quarter – of the salt listed and it is still delicious. For all adults, though, I don’t scrimp on the salt. Yields about 16 small rolls or 1-2 larger loaves. In a large bowl – or stand mixer with a dough hook (yes!) – add the dry ingredients (flour, sugar, salt, yeast). Mix together. Make a well in the middle. Add the eggs and oil. Mix, by hand or stand mixer. Slowly add the water, until it is all incorporated. Knead – about 10minutes by hand or 5minutes with the mixer. The dough is ready once it it forms a nice stretchy ball of dough that isn’t sticking to the sides of the bowl. If it is sticking to the bowl after 10mins by hand / 5mins in the mixer, then add a spoon of flour at a time and incorporate until you reach the desired consistency – it will feel heavier than a normal dough. Leave in a large bowl covered by a damp tea towel. 2 hours in a warm room will be plenty but I have left it for longer with no problem. It should at least double in size. Turn out into a lightly floured surface and briefly knead. Cut into desired size – I have started weighing the dough as I shape because I watched too much Great British Bake Off and couldn’t bear to see uneven sized rolls. So I keep mine to about 50g per roll. When ready to bake, brush the top with some beaten egg and throw some poppy seeds on if you fancy poppy seeds and don’t have fussy children. I didn’t use the poppy seeds. 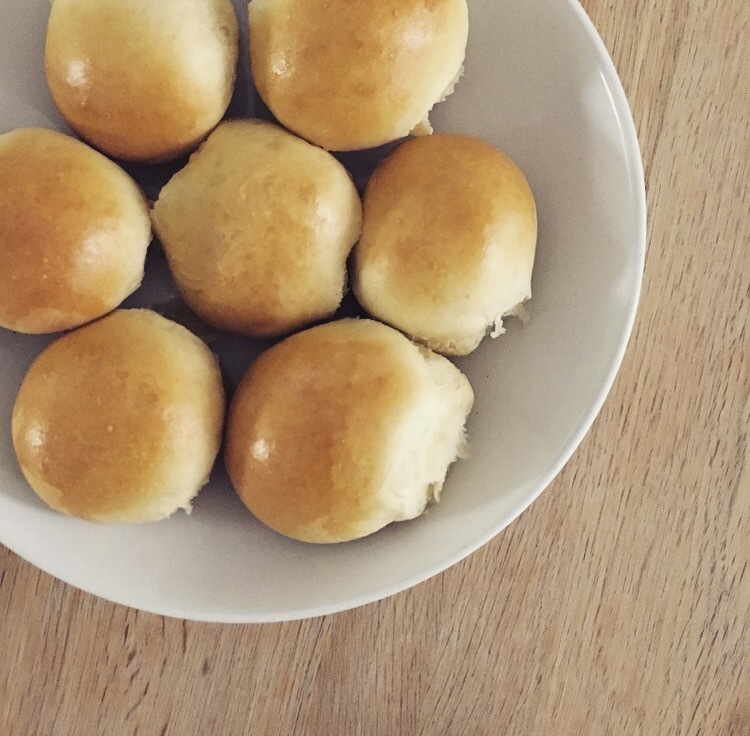 Bake at this starting high temperature until lightly golden – usually about 8 minutes for small rolls. Then turn the temperature right down – to 160C / 320F. 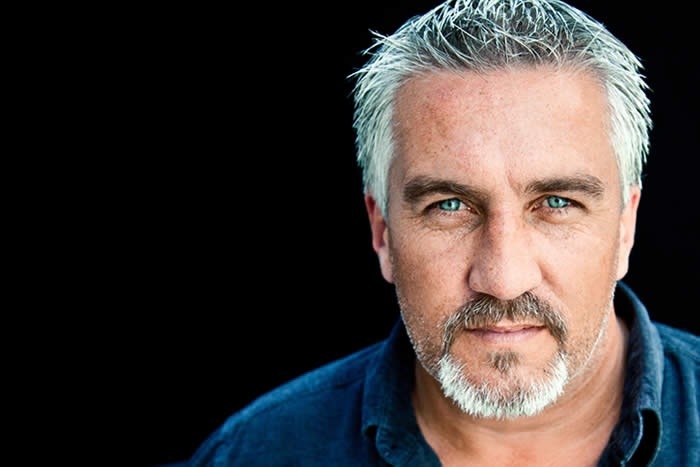 Leave for another 10minutes to keep Paul happy and make sure they’re not too doughy. If your oven is a bit older – like mine – and the temperature drop takes longer to happen then it might be worth opening the oven door for a few moments at the time when you turn the temperature down to make sure you don’t burn the tops. Remove from the oven. If you want them to have a softer crust, cover in a tea towel as they cool. Or just cool on a rack. They taste incredible either way, especially slathered in butter and dipped in soup.